End users who want to use Microsoft Outlook as their preferred email client can do so when Outlook Connector for MDaemon is deployed. 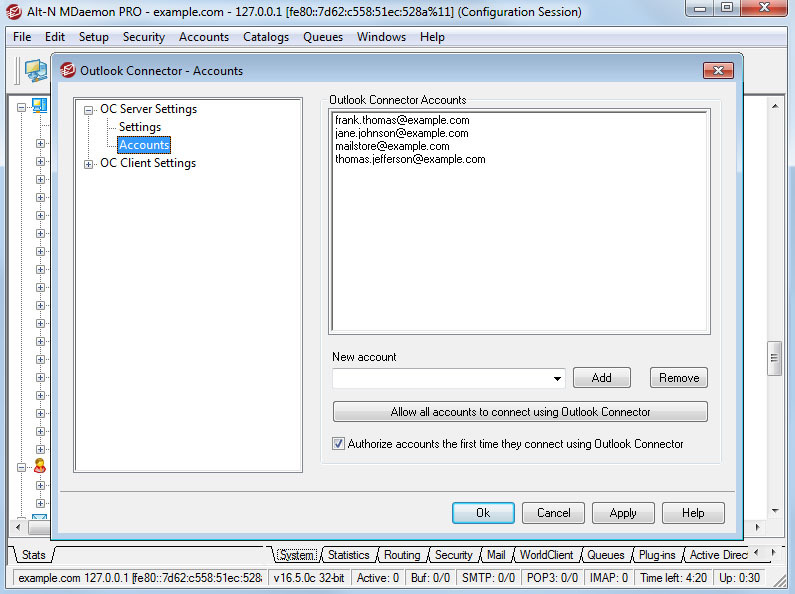 MDaemon Connector for Outlook provides groupware and collaboration functionality by connecting the MDaemon email server with the Outlook client to use Outlook's email, calendar with free/busy scheduling, address book, distribution lists, tasks, and notes. Many MDaemon deployments utilize a mix of MDaemon's Webmail for web-based email access and Outlook, depending on user preference. To ensure that MDaemon Connector for Outlook has optimal performance, please review and consider these guidelines before deployment. MDaemon®Connector for Outlook opens up the groupware collaboration functions of Microsoft Outlook to small and mid-sized businesses by using MDaemon as the email messaging server. 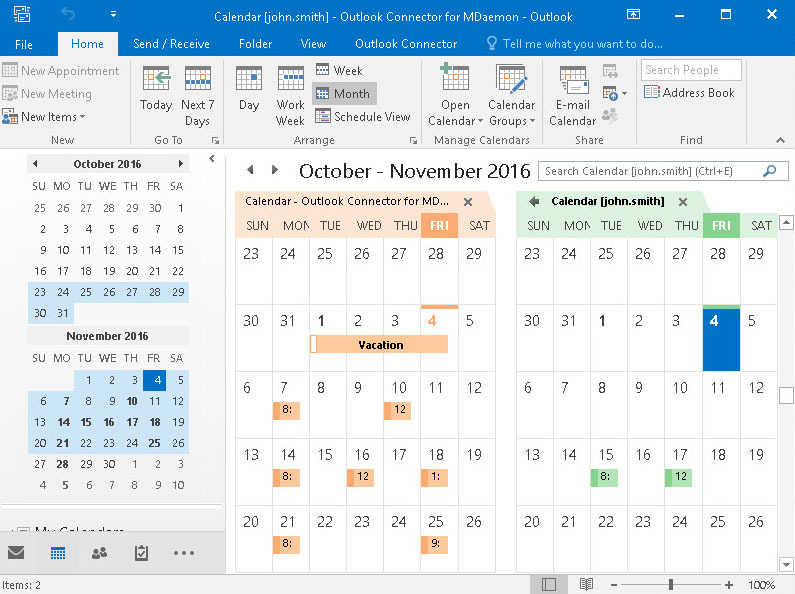 With MDaemon Connector for Outlook you can stay in touch with employees, co-workers, customers and vendors by sharing Outlook’s email, calendar with free/busy scheduling, address book, distribution lists, tasks, notes and more. As with MDaemon, the Connector for Outlook is designed for businesses with little or no professional computer support. Its simplicity, economy and extensive features make MDaemon Connector for Outlook the recognized way to use Outlook’s groupware collaboration tools on a small to mid-sized business budget. MDaemon Technologies’ MDaemon Email Server provides outstanding groupware and collaboration functionality when paired with MDaemon Connector for Outlook. It makes professional-quality groupware collaboration features available to budget-minded small- to medium-sized businesses with or without IT personnel. The shared information is also available for on-the-go users through the groupware collaboration features of MDaemon's webmail client, WorldClient. The purchase of MDaemon Connector for Outlook includes one year of free upgrade protection to safeguard your investment. Download the free, fully functional 30-day evaluation software now, or if you are ready to begin improving your business’ collaboration abilities, purchase today! Please note: To ensure optimal performance of MDaemon Connector for Outlook with your network email these guidelines should be considered.